Allstar Systems has proudly carried out over 500 boiler installations for homes across Norfolk. We’re based in Norwich, but our growing reputation for delivering a high-quality, reliable and a friendly boiler installation service means we have customers based in Great Yarmouth, King’s Lynn and Lowestoft. At Allstar Systems, you can be assured that we’ll offer to install the right boiler for your home. This is why we carry out onsite inspections of the current system in place across Norfolk. Contact us on 01603523247 to find out more. 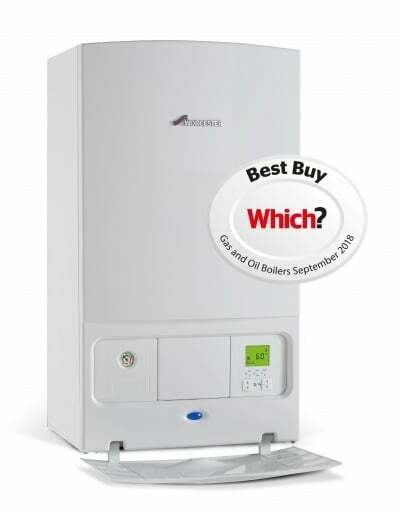 We’re accredited by Worcester Bosch, which is why we offer full 10-year parts and labour guarantee on all Worcester Greenstar gas boilers that we install. Find out more about our rates. We understand the importance of having a functioning boiler in your Norfolk home, which is why we aim to carry out our boiler installation within 48 hours after you’ve contacted us. The full title is ‘combination boiler’ which is one of the most popular choices of boiler within the Norfolk area as well as across the rest of the country. Its popularity is due to its reliable supply of hot water, as well as supply hot water for radiators as well. It is its own entity and doesn’t rely on any other appliances and functions where the cold water passes the system and heats it as it passes through, hence how it can provide a continuous flow of hot water. The process and set up means that energy usage is lower and more cost-effective. Saves space within the home due to lack of need for a hot water tank. Also known as a ‘conventional boiler’, this is usually found in older properties and is the older style of a boiler with different components including a relieve valve, expansion vessel and heating pump. Hot water is heated via a cylinder thermostat and is usually managed by a programme where you can control when the hot water should come on / off. This is similar to the regular boilers and uses similar mechanisms and still uses a hot water tank. However, the set-up is slightly different. This boiler uses an unvented cylinder and so the use of gravity is less vital and means the hot water tank doesn’t have to be located in the loft. It tends to have a quicker response time to regular boilers and so may benefit some customers for this reason. For several years, Allstar Systems has proudly carried out boiler installations and other services for homes across Norfolk. We continually service customers based in Great Yarmouth, Thetford, King’s Lynn and Lowestoft. Contact us on 01603523247 or fill an online form today.